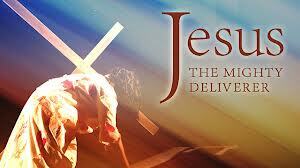 He is still our Deliverer! When reading Psalm 37 today, I couldn’t help but notice how fitting this word is for today. This beautiful Psalm was penned by David, who knew what it was like to be surrounded by enemies and sin. We don’t have to look far to see wickedness abounding . We see crime, evil and persecution of the church increasing. We see countries being ruled by tyrants, wounding and murdering their own people for personal gain. We see God’s Word and His people mocked in the media more than ever before. It would appear evil is having the last laugh. However God’s Word tells us that this is for a season. That God will not allow this to continue indefinitely. We are not to be afraid or discouraged. God has not been knocked off His throne, and Jesus is still the Lion of the tribe of Judah, who is coming back for His bride, the church! We are only to run to Him and trust Him for all our needs. He is the same yesterday, today and forever! He is not surprised by what is going on. It has not caught Him off guard. In fact, He warned us that these things would happen. It is a call to draw near to Him. A call to share the love of Christ with those who don’t know Him as Redeemer and friend. A call to abide in Him, through the power of the Holy Spirit. A call to encourage and edify our brothers and sisters in Christ. It’s time we put aside things that are distractions and draw near to the lover of our soul. As we spend time with Him in prayer and in His Word, our hearts will be transformed from glory to glory. We will be His hands and feet. We will make a difference in this crazy world of ours. We will share the good news with those who need to hear it before Christ returns! If you find yourself afraid or discouraged with the things unfolding around you, look to Him. He will sustain you. He will give you a fresh anointing each day to fulfill the purpose He has for you! Don’t spend time worrying, spend time praying. Don’t spend time afraid, spend time seeking Him and His wisdom for your circumstances. Remember, salvation of the righteous comes from the Lord; He is their stronghold in time of trouble. The Lord helps them and delivers them; He delivers them from the wicked and saves them, because they take refuge in Him.! Meditate on this beautiful Psalm and the many promises from God in it. It is just as much a message for us today as it was to David in his day! ← Are you using your freedom for good?